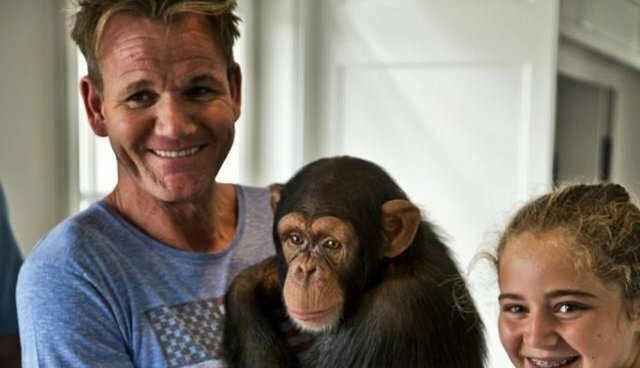 An upcoming episode of Gordon Ramsay's pint-size cooking competition show "MasterChef Junior" will air without a scene featuring a trained chimpanzee after complaints from PETA. When PETA found out about the segment with a chimp, the animal rights group sent Ramsay, who both judges and produces the reality show, a letter encouraging him to pull the scenes from the episode. After reading about the abuses that performing chimpanzees often suffer, including being separated from their mothers at a young age, Ramsay and the show's producers decided to air an altered version of the episode. 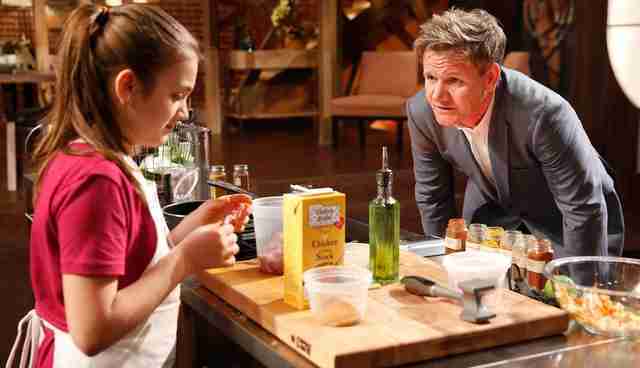 "We did tape a segment with a properly supervised chimpanzee under the on-set supervision of the American Humane Association, but for creative reasons we do not plan to include any of that material in any of our episodes," the MasterChef Junior producers told Entertainment Weekly. Good decision, Team Ramsay! To say "thank you," PETA is planning to send the MasterChef team a delivery of "yummy vegan chimpanzee-shaped chocolates." Chimpanzees raised for entertainment or kept in captivity miss out on the chance to learn how to clean and feed themselves, and never learn to socialize with other chimps. Many chimpanzees trained to perform develop neurotic behaviors. Laws to define chimpanzees as "non-human persons" could offer performing apes more protections, but for now, it's up to viewers to encourage their favorite television shows not to exploit animals that are meant to live in the wild.